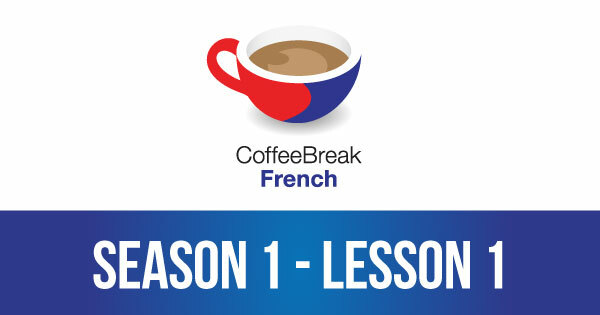 Welcome to the very first episode of Coffee Break French! To kick start the series we’re starting with the basics as we’re teaching you how to ask people how they’re feeling. You’ll also learn how to respond to this question in a number of ways. In this lesson you’ll learn to say where you come from and to talk about your nationality. You’ll also learn the names for some countries in French. You already know how to say where you come from and talk about your nationality, but what about where you live now? 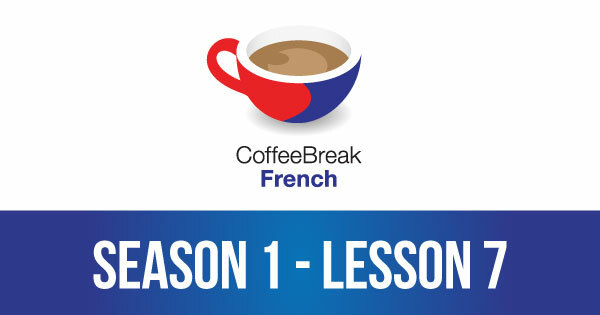 In this episode you’ll learn to say “I live in …” and you’ll also learn the names for some towns and cities in French. In this episode, we’ll teach you the words for family members in French and you’ll learn to introduce them. There’s also more practice of what you’ve learned in previous lessons. In this episode of Coffee Break French, we’ll teach you how to talk about your job using the appropriate vocabulary. In this episode, you’ll learn how to express opinions about your likes and dislikes. We’ll teach you the the necessary vocabulary to make your feelings known in French. In this episode we’ll take the chance to go over what you’ve learned so far in Coffee Break French. You should be able to introduce yourself, talk about where you’re from, your family and count from 1-10. 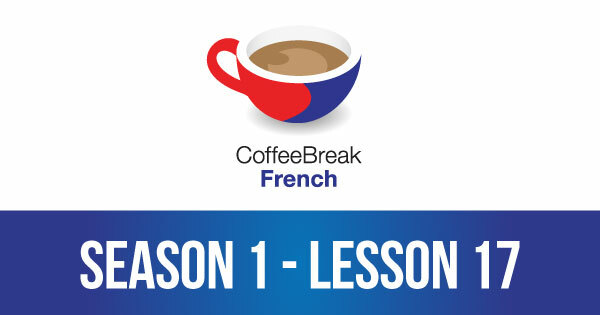 In this episode of Coffee Break French, you’ll join Mark and Anna for some Festive French Fun! In this episode, you’ll learn to ask for directions. We’ll teach you how to ask where places in the town are and understand the words for “where”, “here” and “there”. In this episode we’re continuing with the topic from last week’s lesson as we’re talking about the town. You’ll learn to talk about your town and describe what it has to offer. Last time, we taught you how to order drinks in a café. In this episode you’ll learn how to order snacks to go with your drink. We’ll teach you the correct vocabulary to use for the kind of snacks you may find in a French café. It’s time to learn how to order food in a French restaurant. You’ll learn various words and phrases to help you get a table, ask for a menu, and of course, order food. In this episode, you’ll learn to deal with dietary requirements in the restaurant and complain about your food – or compliment the chef! In this episode, you’ll check your knowledge of what you’ve learned in unit 2.